Mohamed Megahed, deputy to the mission director, told Ahram Online that the temple is located in an area that forms a natural transition between a terrace of the Nile and the floodplain in Abusir. He added that the temple is 32 by 52 metres and behind it was a large forecourt along with two identical and considerably long storage buildings to the right and left side of the complex. Studies carried out so far, Megahed explained, show that it can be assumed that stone columns lined the side walls of the court, which was enclosed by mud brick walls that were in at least some places painted blue. The rear end of the court, a ramp or staircase leads to an elevated stone sanctuary whose back part was divided into three parallel chambers. 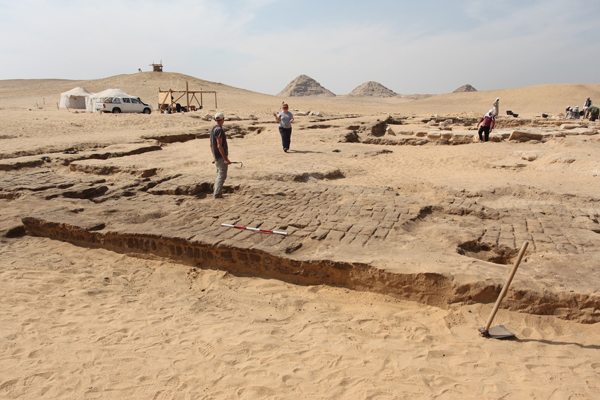 “The remains of this building, which constitutes the very core of the complex, were covered with huge deposits of sand and chips of stone of which many bore fragments of polychrome reliefs,” Professor Mirsolave Barta, director of the Czech mission, told Ahram Online. He pointed out that the fragments not only show the decorative scheme of the sanctuary, but also function to help date the entire complex. 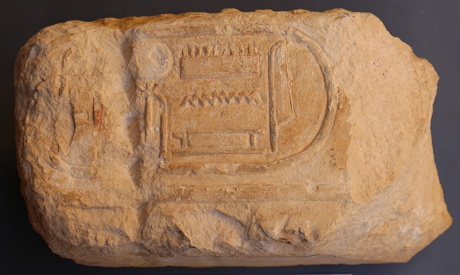 A relief on which is engraved the different titles of King Ramses II was also found, as well as another connected to the cult of solar deities such as Re, Amun and Nekhbet. 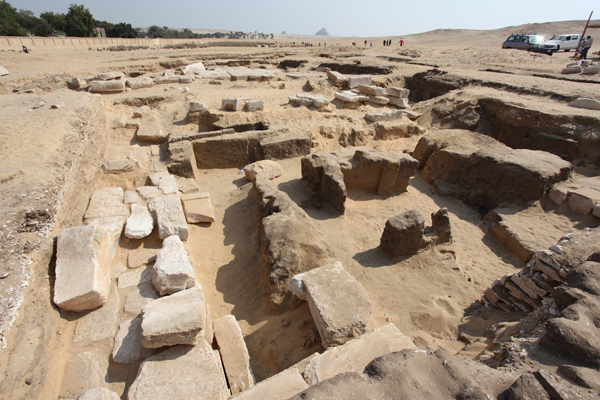 “The discovery of the Ramses II temple provides unique evidence on building and religious activities of the king in Memphis area and at the same time shows the permanent status of the cult of sun god Re who was venerated in Abusir since the 5th Dynasty and onwards to the New Kingdom,” Barta asserted.